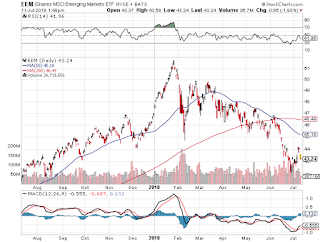 Bank of Canada Preparing For Next Crisis? Bank of Canada Governor Stephen Poloz brushed aside concerns about trade wars and pressed ahead with a fresh interest rate increase as inflation hovers at its highest in seven years. The Ottawa-based central bank raised its overnight benchmark rate by a quarter point to 1.5 percent on Wednesday, the second hike this year and fourth over the past 12 months. The statement didn’t introduce any new “dovish” language, with officials only reiterating that rates will need to rise further, albeit gradually, to keep price pressures in check. 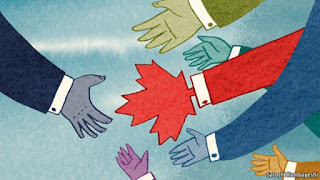 The move signals policy makers are determined to bring rates back to normal levels, and are confident in the Canadian economy’s ability to cope with both higher borrowing costs and the mounting trade tensions. It also suggests the benefits to Canada of strong U.S. growth -- by fueling exports and business investment -- are outweighing the costs and uncertainty imposed by Donald Trump’s trade policies. “The Bank of Canada decided today that the things we know look bright, and this outweighs the concern we have over the potentially bad outcomes of the things we do not. In other words, the known knowns outweigh the known unknowns,” said Jeremy Kronick, associate director of research at C.D. Howe Institute. Wednesday’s move was fully priced in by markets. 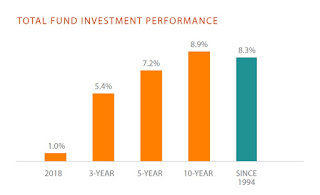 Investors have also been anticipating additional hikes every six months or so until the benchmark rate settles around 2 or 2.25 percent by the end of 2019 -- in line with the central bank’s gradualist guidance. The Canadian dollar advanced immediately after the statement was released, gaining as much as 0.4 percent, before easing back and trading down 0.2 percent at C$1.31389 per U.S. dollar at 11:41 a.m. in Toronto trading. The currency is down 1.8 percent over the past year, despite rising oil prices. Monetary policy, meanwhile, is not suited to counter all the negative effects of protectionist measures, and the effect on inflation is “two-sided,” he said. For example, a slowing economy, higher tariffs and a weakening currency could add price pressures. “The implications for interest rates of an escalation in trade actions would depend on the circumstances,” Poloz said. In its statement and accompanying monetary policy report, the central bank described an economy running close to capacity where higher oil prices, a weaker Canadian dollar and stronger-than- expected business investment is fully offsetting the negative effect of trade uncertainty. Exporters, meanwhile, are doing even better than previously estimated because of buoyant foreign demand. The Bank of Canada forecast growth will average 2 percent over the next three years, unchanged from its last estimate in April and still slightly higher than what officials believe is the economy’s long-term sustainable pace. The latest growth forecasts incorporate negative adjustments that capture greater trade uncertainty. The central bank also raised its estimates for inflation, but expressed confidence it would settle back to 2 percent after temporary factors drove the rate above target. “Governing Council expects that higher interest rates will be warranted to keep inflation near target and will continue to take a gradual approach, guided by incoming data,” the bank said. In another positive development, officials highlighted that the composition of growth is shifting away from consumption to exports and business investment -- implying they believe the expansion is more sustainable. 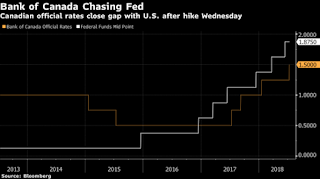 The increase in borrowing costs also puts the Bank Canada more in sync with the Federal Reserve and investors are now expecting the northern nation to keep track with rate hikes south of the border over the next year. The Bank of Canada has been lagging the Fed’s rate increases since oil prices collapsed in 2015 -- marking a rare divergence given how closely Canada’s economy is linked to the U.S.
Rate normalization is a delicate task for Poloz. With inflation already above the central bank’s 2 percent target and heading higher, and with financial conditions still very loose, the central bank chief needs to keep wage and price pressures in check. At the same time, moving too soon and too fast could inadvertently trigger a downturn at a time when the economy is awash in risk. And the Bank of Canada would be wary of getting ahead of the Federal Reserve should slowing global growth impact the hiking path in the U.S.
Gradualism remains the order of the day however, and the Bank of Canada repeated most of the list of concerns and unknowns it has said is keeping it from an even faster normalization -- in addition to trade. Officials reiterated, for example, how the economy has become more sensitive to higher interest rates given high debt levels, which would mitigate any impulses to hike. They also believe there remains excess capacity in the labor market, with the Bank of Canada estimating that underlying wage pressures are at 2.3 percent, less than what would be expected in a jobs market that had no slack. Policy makers are also anticipating that higher business investment will generate new capacity as companies invest to meet sales, a process the central bank has said it has an “obligation” to nurture with stimulative borrowing costs. Because business investment in the first quarter was more robust than expected, the central bank slightly increased its estimate for potential output growth in 2019 and 2020. The bank's next decision on interest rates is expected on Sept. 5. 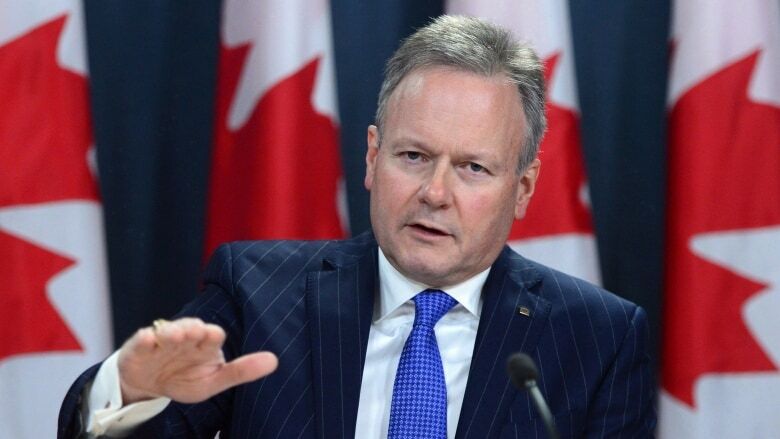 The Bank of Canada raised interest rates July 11 because Stephen Poloz’s tale about how the economy would recover from the Great Recession finally is coming true. Most everyone assumed the central bank would lift the benchmark rate a quarter point to 1.50 per cent. The few who didn’t thought policy makers would be spooked by what President Donald Trump has in store for global trade. On the eve of the interest-rate announcement, the U.S. escalated its trade war with China, scheduling tens of billions in additional tariffs. Canada also is on Trump’s hit list. The central bank now reckons the combination of U.S. duties on Canadian lumber, newsprint, aluminum, and steel — and the chilling effect of trade uncertainty on investment — will subtract two thirds of a per cent from gross domestic product by 2020, an increase from its previous estimate in April. That’s the equivalent of about $12 billion, so it’s not nothing. But the bigger story in the Bank of Canada’s new Monetary Policy Report is that most companies are responding to their order books rather than the headlines in the business pages. Policy makers significantly upgraded their outlooks for business investment and exports, offsetting weaker household consumption. That shift has been a long time coming. Poloz predicted it would happen soon after he became governor in 2013. 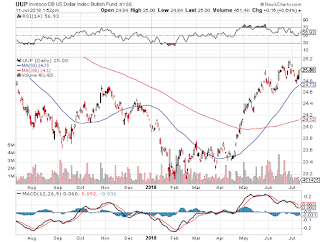 But exports and investment faltered, forcing the central bank to keep interest rates low. That encouraged households to keep spending — and adding to their debts. It’s somewhat surprising that the long-awaited rotation to exports and business investment is happening amid a trade war. The reason also relates to Trump: his tax cuts are stoking a surge in U.S. demand that is proving a magnet for Canadian exports. The improvement in investment and exports was so strong that the Bank of Canada was forced to raise the pace at which it thinks the economy can grow without triggering inflation. The new potential growth rate for 2018 is 1.8 per cent; the figure for 2019 and 2020 is 1.9 per cent. All things equal, the revision suggests the central bank will be less pressed to raise interest rates in the future. The central bank aims to keep inflation advancing at an annual rate of about 2 per cent, which it thinks it is on track to achieve over the next couple of years, although it said inflation may jump temporarily due to a combination of higher gasoline prices, increased minimum wages, tariffs and a weaker currency. Stronger exports and investment also will offset weaker spending by Canada’s debt-saddled households. The Bank of Canada predicted GDP will increase 2 per cent this year. That’s the same as its last estimate, but that growth now is being driven by different engines. Consumption will account for 1.3 percentage points of that growth, less than expected earlier this year. Business investment will account for 0.7 percentage point of the GDP increase, and exports 0.5 percentage point, the central bank estimates. Both are big increases from the April outlook. The threat of increased protectionism means it would be folly to predict a fairy-tale ending. Still, the story being written on the ground in the Canadian economy appears to be different than than the one you’ve been reading about in recent months. Canada most certainly isn't Greece but we are are very similar in terms of troubling debt trends going on here and people who think they are entitled to live in a nice house, drive not one but two expensive cars, buy expensive furniture and take great trips twice a year. It's surreal and nothing but a big, fat chimera. When it implodes, it will destroy many Canadian households for years. Now, the key here is not what is going on in Canada, the key is what is going on in the rest of the world. The US economy is slowing at a time when the deflation hurricane is about to hit our most important trading partner. My last comment on deflation headed straight for the US is probably one of the most important macro comments I've written and it has serious implications for the global economy and Canada in particular. 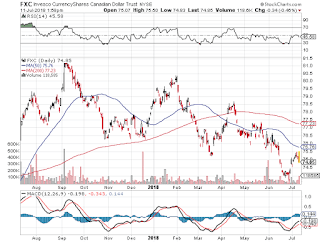 Importantly, when the global deflationary shock hits the US, Canada is literally toast. Finito, caputo, thank you for playing this game Mr. Trudeau, you will be ushered out of office so fast, your head will be spinning. But there was no global deflationary shock. Instead, the US tax cuts kicked in and the US economy took off, allowing the Fed to continue raising rates, and the Bank of Canada is following suit. Does this mean I was way off? Not exactly. It means my timing was way off but let me be clear here, the Bank of Canada is chasing the Fed, doing the exact same thing, namely, raising rates to prepare for the next big financial crisis. 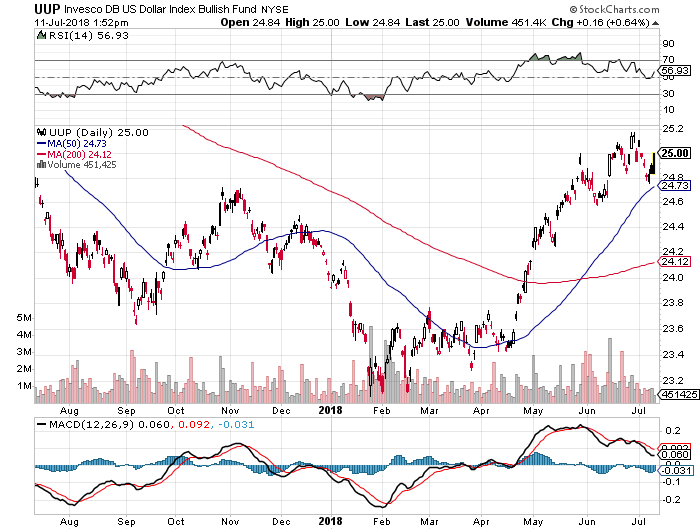 The Fed and other central banks are gearing up for what might be a protracted global slowdown and trade tensions will only exacerbate this slowdown which is already in the making. Let me be very clear here because this is very important, the global economy is slowing and the US economy is rolling over, and central banks are keenly aware of this. 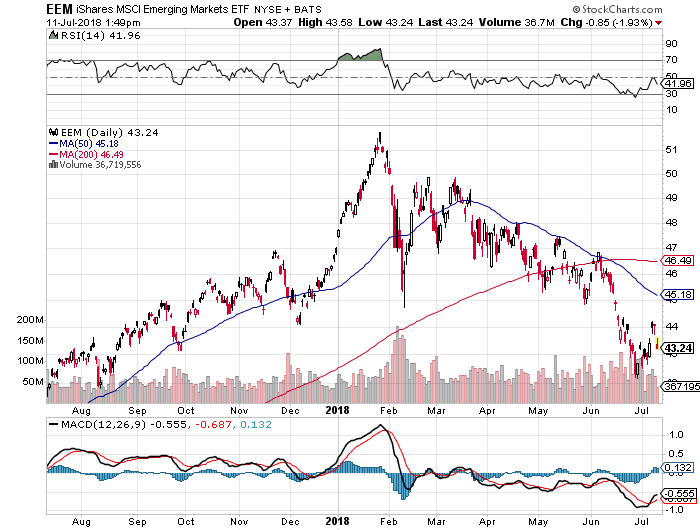 Now, I've been short emerging markets and thought we would see some rally this summer so I can short it some more but so far, the downtrend is intact which isn't good for the global economy. 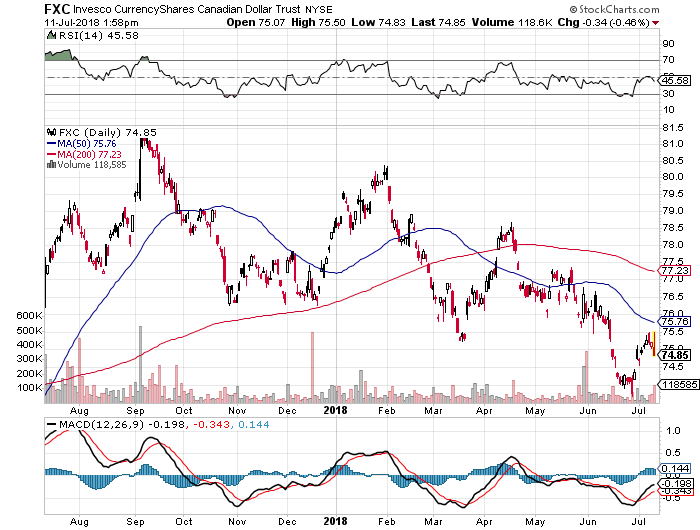 Interestingly, the Bank of Canada's rate hike was priced into the market which explains why the Canadian dollar (FXC) sold off today after the announcement and initial knee-jerk reaction of appreciating (traders sold the news, the big drop in oil prices and trade tensions also didn’t help). What I find interesting is the Canadian dollar is down almost 2% this year despite the rise in oil prices which tells me either the algos are having fun destroying long CAD positions or the NAFTA trade negotiations are really what's scaring investors away from the loonie. But foreigners who want to buy homes in Vancouver, Toronto or Montreal which is the current hot market are loving the weakness in the loonie, not that this makes a huge difference for many foreigners who are laundering millions to buy houses in Canada (yes, Canada is a global haven for money launderers, our big banks will accept your money with NO questions asked, trust me). Apart from foreign money, non-bank entities have increased their lending activities to Canadians who cannot afford a mortgage from banks (and are paying higher rates with subprime mortgage brokers). These people are one job loss away from ruin, and there are tens of thousands of them all over Canada. When will all this folly with Canadian real estate stop? Well, if you listen to Garth Turner over at Greater Fool blog, it will stop because rates are headed higher as inflation kicks in. The problem is Garth has been wrong forever and he still doesn't get it. The single biggest threat to the global economy is deflation, not inflation, and the transmission mechanism for lower housing prices won't come from higher rates and inflation but a deflationary shock the likes of which we haven't seen in a very long time. I've tried to explain this to Garth on his blog but he deletes my comments and gets all pissy with me if I question him about higher sustainable rates and inflation. Again, let me repeat what I said last year, we are one deflationary global crisis away from a major recession in Canada. Stop looking at the jobs data, stop looking at housing prices, stop looking at oil prices, stop looking at the TSX making record highs and stop listening to the Bank of Canada, overanalyzing its decisions. I worked with Steve Poloz at BCA Research. He's not an idiot, far from it, and knows exactly what I'm worried about because that's what keeps him up at night. He will never admit this publicly for obvious reasons, but we are in deep trouble in this country. The Bank of Canada is doing exactly what the Fed is doing, raising rates so it can have bullets to lower them when the next big one hits us. That's it, that's all, don't bother reading too much into this rate hike or any subsequent rate hike from the Fed or Bank of Canada. Below, Governor Stephen S. Poloz and Senior Deputy Governor Carolyn A. Wilkins answer reporters’ questions following the policy rate decision and the release of the Monetary Policy Report. Exporting The CDPQ Infra Model? Did Markets Just Get Facebooked? Behind the US Public Pension Crisis? 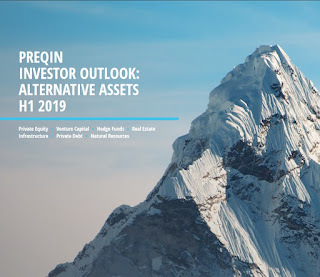 Caisse, CPPIB Closing Huge Deals? From Trade War to Currency War? Time To Divest From Fossil Fuels? 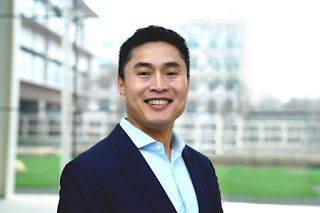 Caisse Invests $250 Million In CRE Services? Beware of the Flattening Yield Curve? 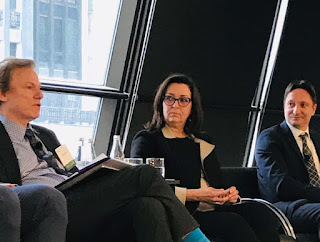 The Case For Change at OMERS? Japanese Pensions Rushing Into Alternatives? US Corporations Behind Rally in Treasurys? PSP Upping the Dosage of Private Equity? Pension Funds Taking Aim at Private Equity?